Thank you for visiting Hartmann Signs Inc. Serving Livingston MT. and Woodstock IL. Don would be happy to discuss any of your signage needs from banners, truck & window lettering, decals, engraved plates, routed or sandblasted redwood & aluminum signs. If you need a unique or custom made sign, Hartmann Signs can help! Don Hartmann has been running Hartmann Signs for over 35 years, and his work is seen all over the country. Visit our Portfolio Pages to see what Hartmann Signs can do for you. Do you have a particular type of sign in mind and need someone to help you find the right way to do it? Hartmann Signs Specialize in Custom Work and love a good challenge. Visit our Get a Quote page to find out more information about making your ideas come true. 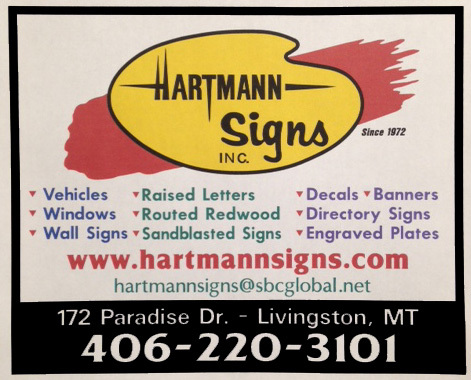 Hartmann Signs is a family owned sign business conveniently located at 172 Paradise Dr. Livingston, MT. 59047 Owner Don Hartmann lived in Woodstock Illinois since 1992, and moved to Livingston Montana in 2014. Visit our About Us page to learn more about our family. Visit our Contact Us page to tell us about your experience with Hartmann Signs, ask questions, get information, or just to say HI. We want to hear from you! Thank you for visiting Hartmann Signs! Don would be happy to discuss any of your signage needs from banners, truck & window lettering, decals, engraved plates, routed or sandblasted redwood & aluminum signs. If you need a unique or custom made sign, Hartmann Signs can help! Hartmann signs not only does work in the Livingston MT. 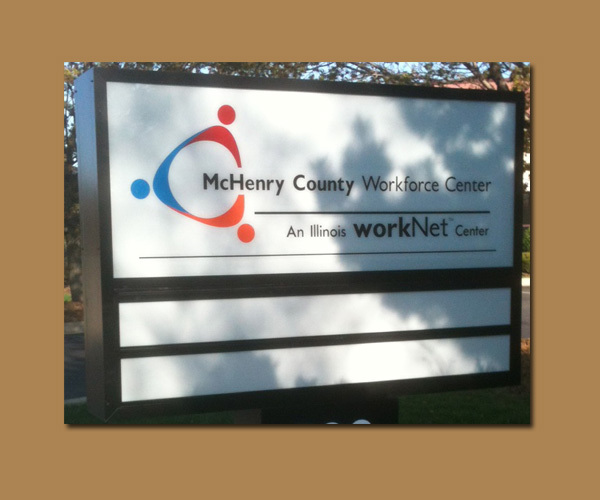 area but is still the preferred sign maker in McHenry County IL. where Don worked for 35 years. 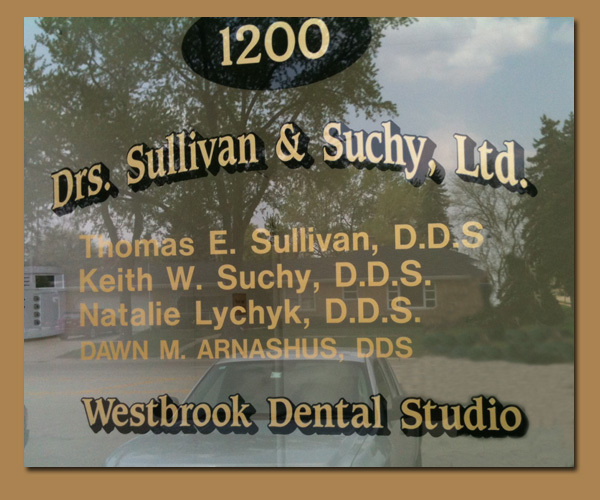 Sandblasted signs give signs dimension since the letters and border are raised. The background is sandblasted away leaving the sign a unique and interesting finish. 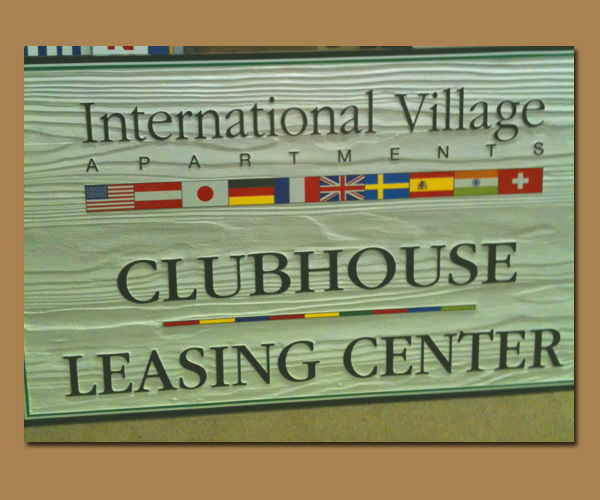 Sandblasted signs can be installed between wood posts or mounted flat against a wall. Window Lettering Exterior windows and glass doors are the perfect area to be taken advantage of for signage. White lettering or light color vinyl shows up best and works well with dressing up entryways and large windows that have frontage exposure. Logos are also available for window advertising. Vehicle Lettering Truck and trailer lettering holds up well and is a great value for your advertising budget. Most companies and businesses keep their vehicles for 5-6 years so a product that is so easily and inexpensively added and removed is perfect for all businesses. 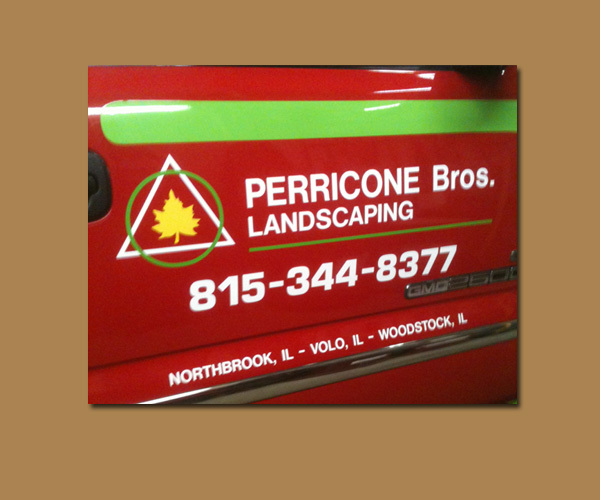 Vehicle magnets are an excellent alternative for a business that prefers removable advertisement. Dimensional plastic or metal letters are available in millions of colors and type styles. Your custom logo, and images can also be added. These signs are mounted to exterior brick walls with stud and pads which will last a long time. 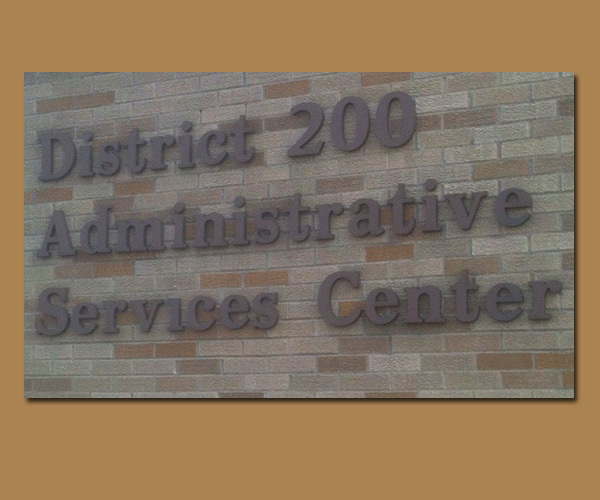 Large wall signs can be created at almost any size with an array of colors. Lighted box signs are great for schools, businesses, and churches. They give 24 hour advertising recognition and exposure. Changeable letters can be added in black, red, blue, and green, or in reverse white letter with black background. 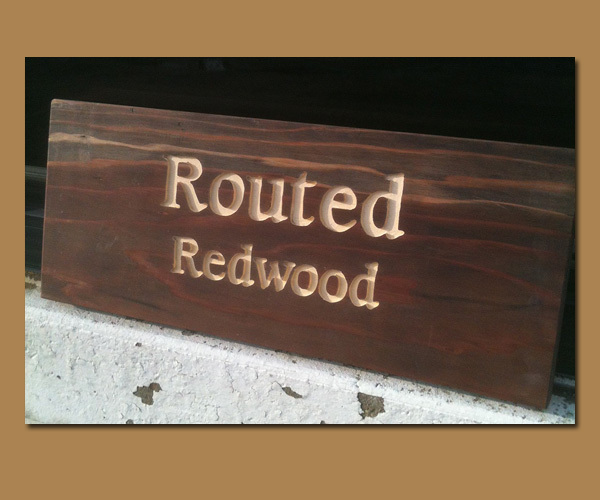 California Redwood or clear cedar panels are fabricated in our workshop for routed signs. Redwood and cedar offer decay resistance properties and will last up to 30 years. They both give you interesting wood grain texture and finishes. Redwood signs can be supplied with posts and decorative caps. We can also repaint, refurbish, and repair old, faded, or damaged signs. Do you have something to say about the work Hartmann Signs has done for you? Leave a comment here and we will let everyone know! Thank you for visiting Hartmann Signs Inc.